Dr. Mohrer, a board-certified pediatrician, received a bachelor of arts degree with a pre-medical concentration in mathematics from Columbia College at Columbia University, New York, NY. He then, for a year, was a full-time research associate in the Center for Biomedical Informatics at the Icahn School of Medicine at Mount Sinai Hospital. 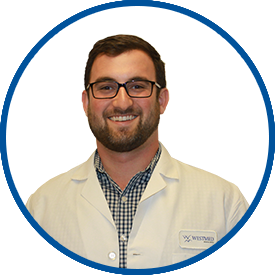 Dr. Mohrer went on to earn his medical degree from New York Medical College and completed his pediatric residency at Yale-New Haven Hospital in New Haven, CT.
Dr. Mohrer is a great addition to WestMed. he was great with the kid's, patiently listening to them and answering their questions. he took his time and explained everything so that my son could understand too. I've recommended WestMed to friends and family.